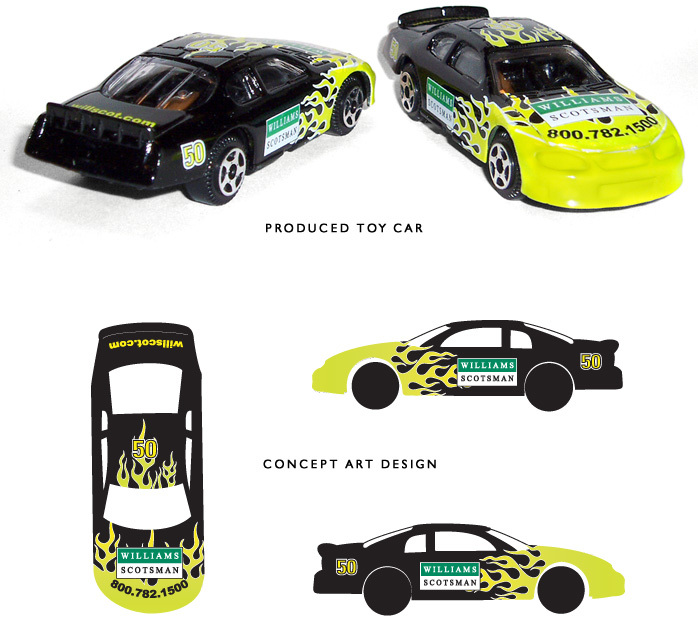 This was a 50th anniversary commemorative diecast car design. The cars were produced in limited quantities in coordination with Williams Scotsman and given to select customers, employees and vendors. © 2019 Shaun Burkowski | Graphic | Web | Print | Apparel | Design.